Like those before him, Thomas Tidwell has risen up through the ranks of the U.S. Forest Service during his 32-year career before being appointed chief of the agency on June 17, 2009, by Agriculture Secretary Tom Vilsack. After growing up in Boise, Idaho, Tidwell graduated from Washington State University with a degree in wildlife and range management. He also attended classes at the University of Idaho. He began his Forest Service career in the Boise National Forest, and eventually worked at eight different national forests in three regions. His roles have included working on a fire ground crew, as a forest supervisor, a district ranger, and in legislative affairs in the Washington office, where he worked on the National Fire Plan, the 2001 roadless rule and the Secure Rural Schools County Payments Act. He was supervisor of the Wasatch-Cache National Forest during the 2002 Winter Olympics in Utah. 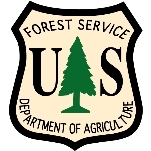 In 2006, Tidwell was appointed Deputy Regional Forester for Fire and Aviation Management, Recreation, Engineering, State and Private Forestry and Tribal Relations for the Pacific Southwest Region (Region 5). The following year he was appointed Regional Forester for the Northern Region (Region 1), succeeding Gail Kimbell when she was appointed chief. The Northern Region includes 25 million acres in Montana, Idaho and North Dakota encompassing 12 national forests and four national grasslands. 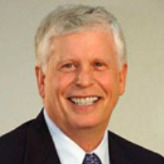 In June 2009, Tidwell succeeded Kimbell again when he was appointed as chief of the Forest Service. He is the third consecutive person promoted from Region 1 Regional Forester to chief. Tidwell and his wife, Kim, have one daughter.